Please note, this event allows for mobile entry. Tickets will not be emailed or available to print. Your mobile ticket must be displayed on your phone to get into the event using the Levi’s® Stadium app or Ticketmaster app. The San Francisco 49ers will continue the tradition of hosting an annual high school football double-header at Levi’s Stadium on Friday, September 21st, with the staging of the Levi’s Stadium High School Football Series presented by U.S. Bank. 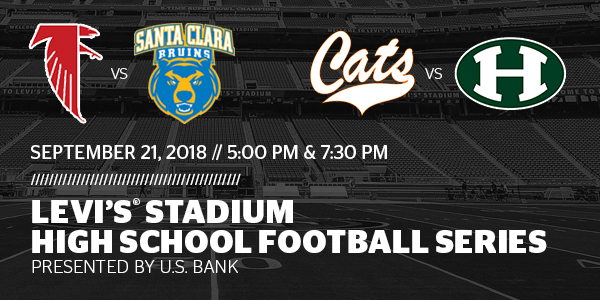 The fourth installment of the event will feature Saratoga (CA) vs. Santa Clara (CA) at 5:00 p.m. followed by Los Gatos (CA) vs. Homestead (Cupertino) at 7:30 p.m.
All guests ages 2 and above must have an event ticket to enter the stadium. There is no re-entry after admittance. 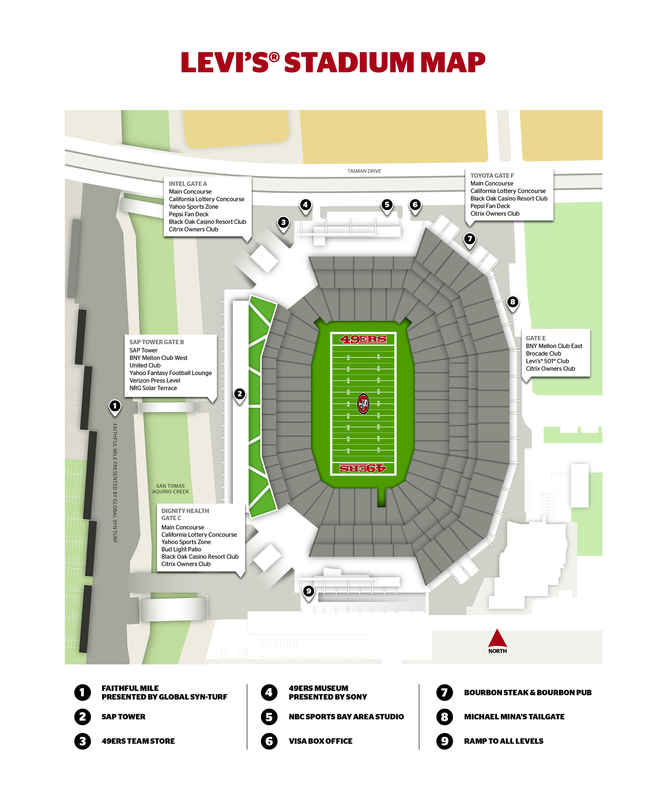 Guests should have their tickets ready to scan upon approaching the stadium entry gates. The ticket barcode must be visible no matter the ticket type. Please note, this event allows for mobile entry. Tickets will not be emailed or available to print. Your mobile ticket must be displayed on your phone to get into the event using the Levi’s® Stadium app or Ticketmaster app. Will call is located at the Visa Box Office and opens at 9:00am. Walk-up tickets may also be available at the Visa Box Office. The Visa Box Office opens at 9:00am and is located at the north end of the stadium inside Toyota Gate F.
Will call opens at 3:30pm and is located at the Visa Box Office. 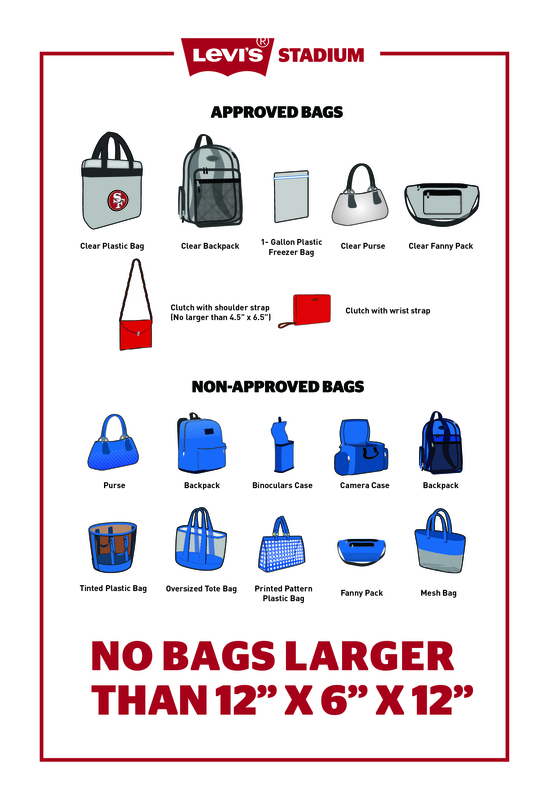 Stadium Entry is Gate F Only. 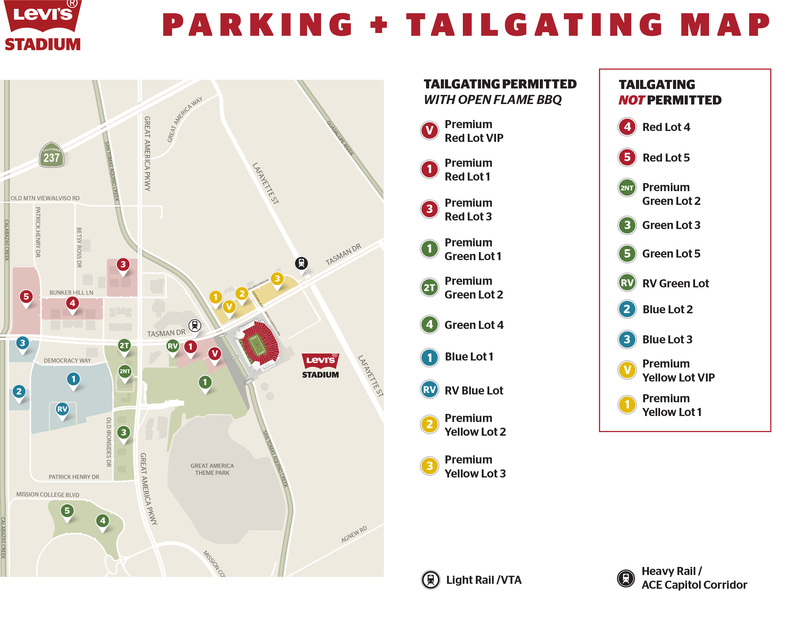 Parking lots are scheduled to open at 3:30pm and all guests must be in possession of a valid event ticket, pass, or credential to park in a designated parking lot. Cash and credit lots for this event are Yellow Lot 1, 2 and 3. 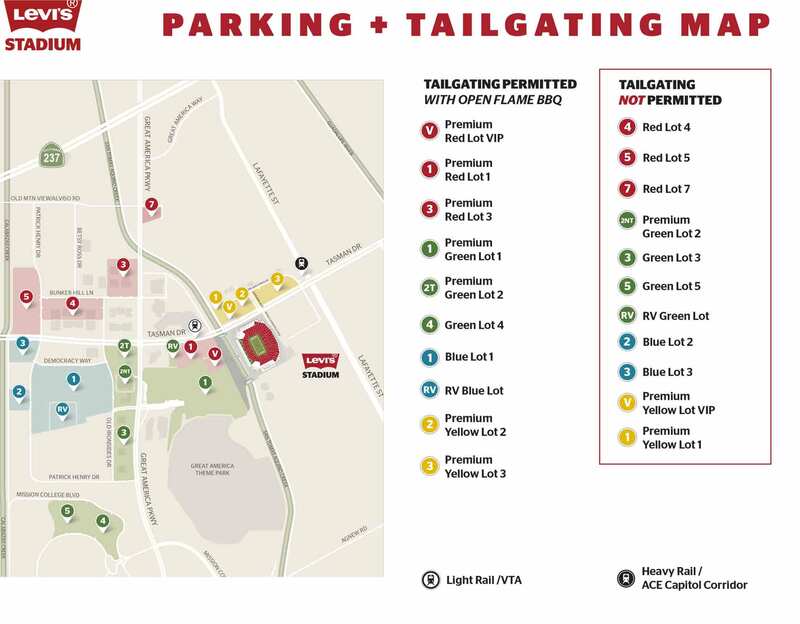 Mobility services will be onsite at 3:30pm to provide roving carts throughout Green Lot 1 for assistance to stadium gates.